Come on down and see your Board in action! Join BMW NorCal on Saturday April 27th as we head out to Eurocycle Sonoma's Spring Into Spring season opener event! We will be meeting at Napa Black Bear Diner (at 8:00 AM) for a great breakfast then ride an awesome NorCal route to the event. The ride leaves at 9:00 AM, be gassed up and ready to roll! Click on this event registration to join us, but also confirm on the Eurocycle FaceBook event page (@Santarosabmw) so they can get stuff ready on their end. And of course you can always head straight there. Wear your BMW NorCal gear and represent! It's time again to do our part and clean up some highway! 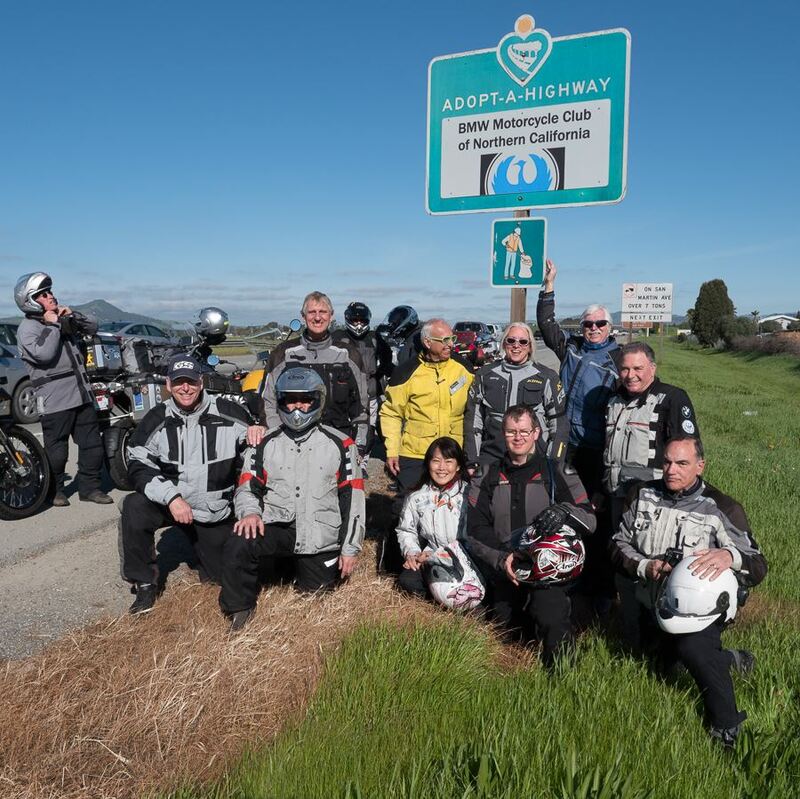 You may not know this but BMW NorCal sponsors a 2 mile section of Highway 101, south of San Jose. Lately we haven't been putting much of an emphasis on this program, but we need to turn that around. Club member Ed Perry brought this program to the club and has been single handedly running it - and he needs our help. Our next clean-up day is Saturday, May 11th so let's see how many NorCal volunteers we can pull together. Don't feel left out if you can't make this one, we are hoping to do this quarterly. If this is your first time - pay attention. You'll need to watch a Caltrans safety video first. Everyone needs to do this, for obvious reasons. From your PC download the video here (not really mobile friendly) or go to http://www.dot.ca.gov/maintenance/adopt-a-highway/index.html and look for the Safety DVD For All Participants link. Give yourself a little time, the video is 15 minutes. Or from all devices, click here for the video on Youtube. This is the important part - don't put it off. On the day of the clean-up we will meet at Yolked Extreme Breakfast at 9:00 (get there earlier if you want breakfast). And think about carpooling. Ed will conduct the safety briefing and hand out PPE (personal protective equipment). Show up in long pants and footwear with decent ankle support. (This is also pointed out in the video.) The clean-up will take a few hours so you might want to bring some water. Folks will leave their cars at Yolked and pile into two or three for the drive to our section of highway. Afterwards folks usually get together for a lunch. And remember, this is light work with more hands so step up and volunteer! RSVP and contact Ed if you have any questions at edwardperry@yahoo.com. NOTE: Do not email Ed if you can't make this date, even if you RSVP'd. After a break for lunch (not provided as part of the clinic), attendees have the chance to try their newly gained skills on a guided off-road ride with experienced NorCal volunteers observing/coaching riders through on-trail obstacles and more challenging sections. Some dirt experience is suggested, but all are welcome. 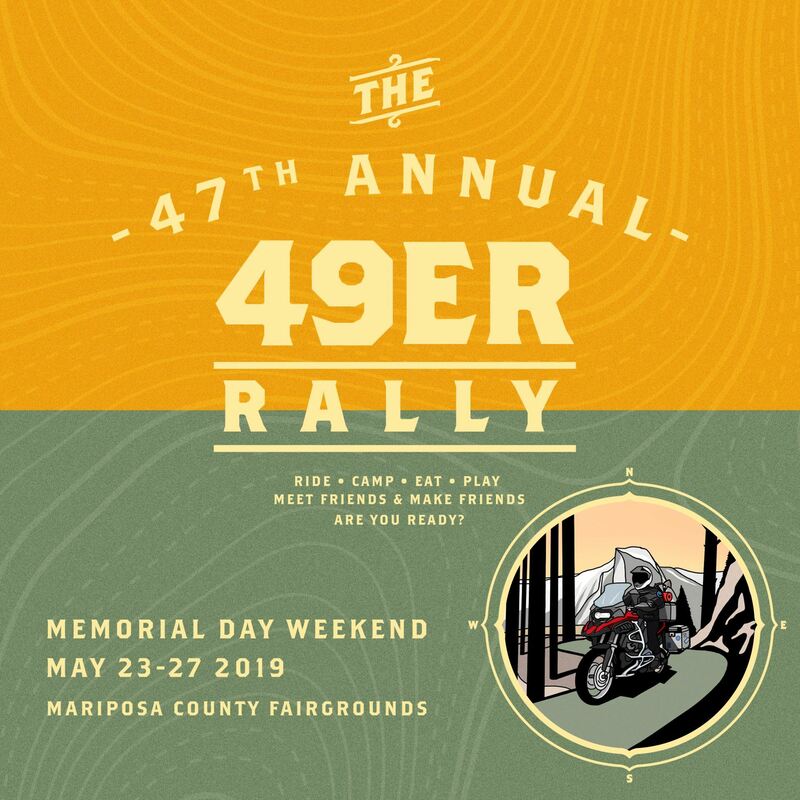 You must register and pay admission to the 49'er Rally to participate this event: to register enter the code you received in your 49er registration confirmation email. * A note on the change of clinic format and cost from previous years. This year the Club's insurance rates jumped so unfortunately we had to change the cost structure. We also have been wanting to add more clinics so this year we struck a deal with Lance, adding 2 more clinics. 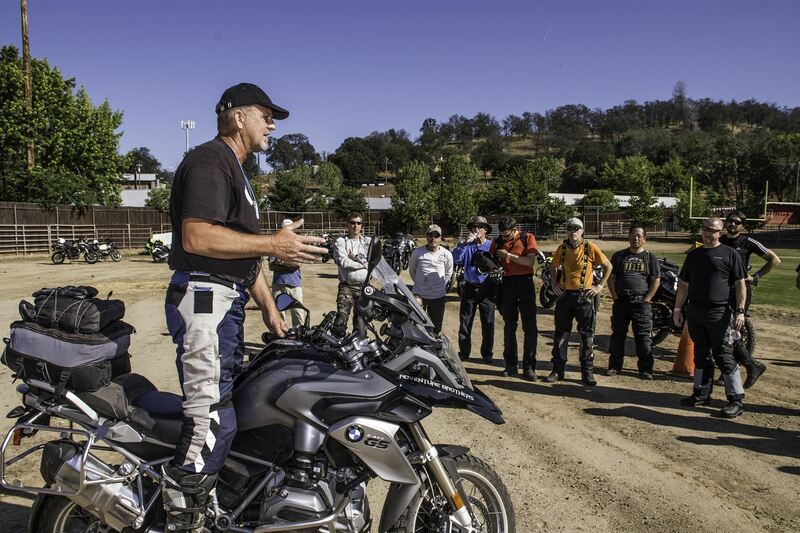 To accommodate this we have BMW NorCal Club members that are leading the trail ride portions. Check-in is at 12:45 PM (sharp) at the Fairgrounds arena. Riders will participate in basic & advanced GS skills, concepts, and training on a closed course. Attendees have the chance to try their newly gained skills on a guided off-road ride with experienced NorCal volunteers observing/coaching riders through on-trail obstacles and more challenging sections. Some dirt experience is suggested, but all are welcome. The off-road ride will be Sunday 8AM to 11:30AM. After a break for lunch (not provided as part of the clinic), attendees have the chance to try their newly gained skills on a guided off-road ride with experienced NorCal volunteers observing/coaching riders through on-trail obstacles and more challenging sections. Some dirt experience suggested, but all are welcome. Space is limited to 16 riders per clinic, with first come first serve registration. There will also be a wait-list in case of cancellations. You must register and pay admission to the 49'er Rally to participate this event: to registerenter the code you received in your 49er registration confirmation email. Are you ready to take your off-road riding to the next level?? Do you feel more comfortable learning riding skills in a female-centric environment, taught by a woman? Well this is the class for you! Join Pat Jacques and a field of other ladies as you learn the ins and outs of GS riding skills. On and off her motorcycle Pat Jacques is a genuine, courageous, authentic BadAss! She’s a pioneer woman who raced men’s motocross, successful entrepreneur, and founder of ADVWoman. In 2016 she hosted the first ever Adventure Rally for Women, by Women emphasizing on range and classroom training. Pat’s passion is empowering women through personal and motorcycle coaching. She’s been riding, racing and teaching motorcycling over 40 years. She has a unique talent for breaking skills into teachable pieces, inspiring confidence, and helping riders to achieve tremendous success. Pat lives and rides high in the Colorado Rocky Mountains and is intimately familiar with the backcountry. She’s energetic, vibrant, and quick to laugh! Please join Pat on this crazy, fun, incredible adventure in life and on a motorcycle! For more on Pat click here. Pat has developed a successful curriculum that is sure to produce some breakthroughs with riders of all levels. The class is all day so be sure to bring some water and something to eat (lunch is not provided) or there is always food available at the 49er vendors. Be ready to roll with your own insurance and all your protective gear - helmets, gloves, boots, and riding jackets are mandatory. This class is intended to be the first of two offered at the 49er Rally. (Registration for the second class is separate. And, you do not have to take the second class.) This class and the special Rally pricing is only open to attendees of the 49er Rally. So be sure to register for the Rally first! This class will focus on more advanced skills that the adventure rider can use to bring their off-road riding skills to the next level. Participants should have a good level of confidence with riding on the pegs in the dirt. If you’ve taken the beginner/ intermediate skills class and want to refine what you’ve learned and add valuable new skills to your off-road adventure riding this class will be ideal for you. Check-in is at 12:45 PM (sharp) at the Fairgrounds arena. 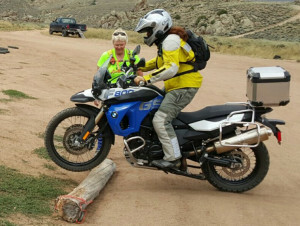 Riders will participate in advanced GS skills, concepts, and training on a closed course. Attendees will have the chance to try their newly gained skills on a guided off-road ride with experienced NorCal volunteers observing/coaching riders through on-trail obstacles and more challenging sections. This ride is tentatively planned for Sunday. Space is limited to 16 riders with first come first serve registration. There will also be a wait-list in case of cancellations. This class and special pricing is only open to attendees of the 49er Rally. So be sure to register for the Rally first! 2019 BMW MOA National Rally - Lebanon Tennessee! So who's up for a road trip? This year the MOA National Rally is in Tennessee and as usual BMW NorCal will have an area set aside for club camping. So if you're thinking about going, register on our event page. This isn't registering for the Rally, we're just taking a head count to see how much room we'll need.You'll still have to register for the Rally through the MOA. And if you're heading out - check the RSVP list and maybe head out together! Click Here for Rally details! June Member Meeting (BOD Election) and Campout - Finnon Lake! 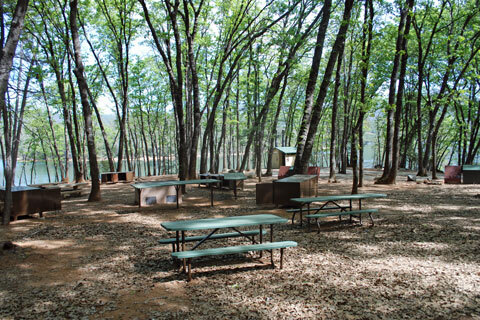 Finnon Lake Campground, 9100 Rock Creek Road, Placerville, CA. It's election time so come join us at Finnon Lake for a great campout and cast your vote for the next Board of Directors. And, maybe even consider stepping up and volunteering for a position. The BOD is what makes the club work and it's run by fellow members volunteering to get things done. This year we are implementing staggered terms so only some of the Board positions will be up open for this election. Two positions are open for one year terms: President and Vice President. Three positions are up for two year terms: Secretary, Tour Captain, and Safety Director. This meeting will have dinner catered so show up ready to eat some great chow! The start location and route are still to be determined... Stay tuned. September is when we say goodbye to high elevation campouts for the season. 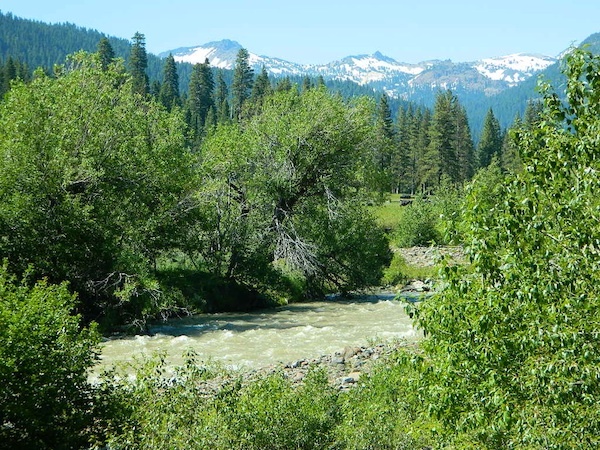 And our last one for this season is at Gurnsey Creek Group site, near Lassen National Park. Dress warm and expect overnight frost but the great riding there will more than make up for it! Oktober Member Meeting / Campout - Liberty Glen OKTOBERFEST and Eurocycle open house! Oh yeah, it's time again for another great Oktoberfest, BMW NorCal style! If you haven't yet joined us at Liberty Glen above Lake Sonoma, you're not going to want to miss this. The Club puts on a great cookout with fresh, locally sourced German foods thanks to Kevin "Sausage Meister" Coleman, who tracks down great sausage, pretzel, pickle, sauerkraut, spaetzle (thanks Mark and Linda! ), and bier (of course!). Members enjoy the camping for free, as usual, but also the food. Non-members are asked to cover the cost of their meal and at $15 this is a deal, especially if you consider an early bird Sunday breakfast (while supplies last) is included. And this year we are adding the option for the beverage wristbands to the online registration so you don't have to worry about remembering your cash. Another great thing about having this event at Liberty Glen is that all the roads leading there are great riding roads. And in addition to a great ride we are also making a stop at at Eurocycle Sonoma (Santa Rosa BMW) for an open house. So if you don't want to start with the club at Breakfast, meet us there! 13 Apr 2019 April Member Meeting and Campout - La Grange - PLUS A&S open house! 07 Apr 2019 Advanced Rider Class with Superbike Coach Can Akkaya - Registration is now open to all! 28 Mar 2019 March Member Meeting and Campout - Death Valley! 08 Dec 2018 BMW NorCal Member Holiday Party! 01 Dec 2018 November Member Meeting and Campout - Fremont Peak (Doe Flat Group Site) Plus San Jose BMW Open House! 20 Oct 2018 Cal Moto Open House! 20 Oct 2018 ADV Design Oktoberfest Open House! 13 Oct 2018 Member Only Clinic - Advanced Riders Class (TC ARC)! 29 Sep 2018 September Member Meeting and Campout - Saddlebag Lake "Trailhead Group Site"! 31 Aug 2018 2018 RANGE OF LIGHT GYPSY TOUR! 25 Aug 2018 August Member Meeting and Campout - Lake Alpine! 10 Jun 2018 June SSBR - North Bay Baby! 24 May 2018 2018 49er Rally! 28 Apr 2018 April Member Meeting - Songdog Ranch! 16 Mar 2018 March Member Meeting / Annual Death Valley Campout! 14 Mar 2018 BMW Cross-Border Rally at Long Beach BMW! 03 Mar 2018 1st annual BMW Cross Border Rally - Loreto to Long Beach! 24 Feb 2018 February Member Meeting - Hidden View Campground! 17 Feb 2018 Member Only Clinic - CPR and First Aid Training at Moto Guild SF! 11 Feb 2018 February SSBR - East Bay Extravaganza! 13 Jan 2018 Airheads BMW Club - norcal tech day! 10 Dec 2017 December SSBR, Party on the Peninsula! 02 Dec 2017 November Meeting and Campout - Plaskett Creek, PLUS Wunderlich America open house! 01 Sep 2017 Range of Light Gypsy Tour 2017! 13 Jul 2017 MOA International Rally 2017! 09 Jul 2017 Second Sunday Breakfast Ride, Pinnacles National Park! 24 Jun 2017 Annual Election Meeting, Brannan Island State Recreation Area, Rio Vista, California! 11 Jun 2017 Second Sunday Breakfast Ride, Lake Berryessa/Napa Loop! 10 Jun 2017 Big Bike Adventure Challenge! 27 May 2017 49'er Rally 2017, GS Clinic, Saturday, May 27th! 26 May 2017 49'er Rally 2017, GS Clinic, Friday, May 26th! 25 May 2017 49’er Rally 2017, Call for Volunteers! 29 Apr 2017 San Luis Reservoir State Recreational Area! 20 Apr 2017 Adopt-A-Highway Clean Up Day! 09 Apr 2017 Second Sunday Breakfast Ride, Petaluma to Santa Rosa Loop via Calistoga! 24 Mar 2017 March Member Meeting & Campout, Furnace Creek, Death Valley! 12 Mar 2017 Second Sunday Breakfast Ride, Half Moon Bay to Portola Valley via Santa Cruz! 12 Feb 2017 Second Sunday Breakfast Ride, Vallejo, Delta, Diablo! 28 Jan 2017 Arroyo Seco Campground, Greenfield, California! 21 Jan 2017 Tech Day 2017 !!!! 11 Dec 2016 Second Sunday Breakfast Ride, Pinole! 03 Dec 2016 Pianetta Winery Vineyard, Meeting & Campout, Paso Robles! 13 Nov 2016 Second Sunday Breakfast Ride, Lead by Fred Montano! 22 Oct 2016 Oktoberfest Meeting & Campout, Rancho Seco, California! 24 Sep 2016 September Member Meeting & Campout, Hat Creek, Old Satation, CA, Lassen National Forest! 17 Sep 2016 Adopt-A-Highway Clean Up Day! 16 Sep 2016 Autumn Beemer BASH, September 16 - 18, Quincy, California! 18 Aug 2016 Nakusp Hotsprings Rally, August 18 - 21, Nakusp, BC, Canada! 14 Aug 2016 Second Sunday Breakfast Ride, Scotts Valley! 30 Jul 2016 July Member Meeting & Campout, Gray Pine Campground, Stonyford, CA! 18 Jun 2016 Adopt A Highway Clean Up Day! 16 Jun 2016 Beehive Beemers Red Rock Rendezvous Rally, June 16 - 19, Panguitch, Utah! 28 May 2016 49'er Rally 2016, Off Road Skills Clinic, Saturday, May 28th! 27 May 2016 49'er Rally 2016, Off Road Skills Clinic, Friday, May 27th! 26 May 2016 49'er Rally 2016, Volunteer Signups! 26 May 2016 49'er Rally 2016, Mariposa, California! 21 Apr 2016 Adopt A Highway Clean Up Day! 20 Feb 2016 NEW DATE, Tech Session, Wheels, Tires & Brakes! 14 Feb 2016 At the request of Sweethearts, the Second Sunday Breakfast Ride has been cancelled for Valentine's Day 2016! 05 Dec 2015 Plasket Creek Ride, Member Meeting & Campout!